Last week we listened to "Don't Let the Sun Catch you Cryin'" by Gerry and the Pacemakers. I wasn't planning on staying in the 60s this week, but I finally stumbled upon a nice copy of this record in my favorite used record store. 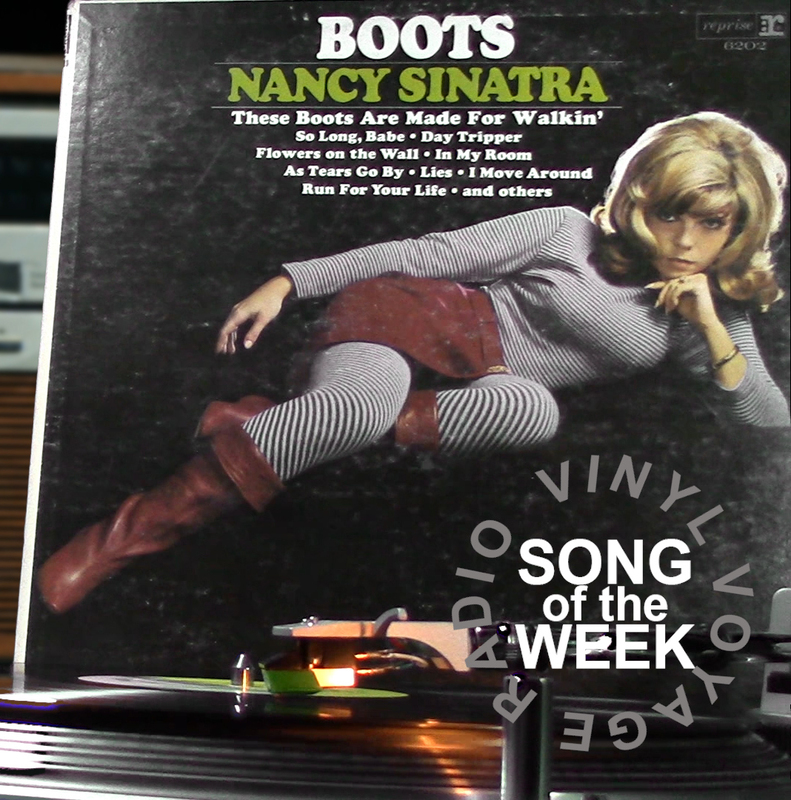 Nancy Sinatra released her debut album Boots in 1966. And here is her hit song, "These Boots Are Made for Walkin'." Listen to the Song of the Week every Wednesday at 10am and 10pm, Central. Watch the video below, featuring the original video made by Nancy Sinatra for video-jukeboxes. We recently went live on Twitter and played several old 78s, including one that is 105 years old. Check out the video below. 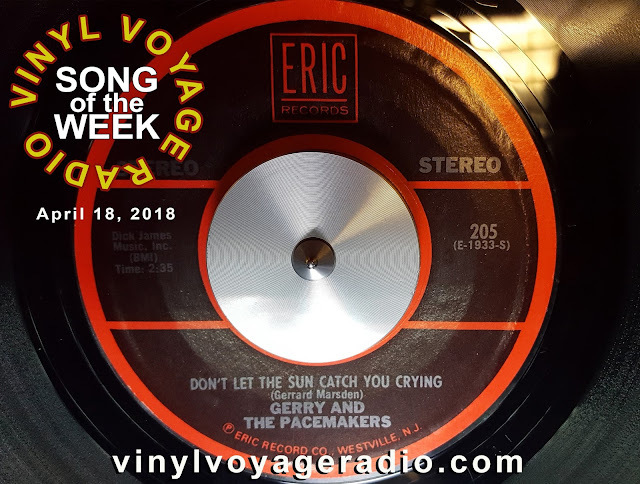 The Song of the Week - "Don't Let the Sun Catch You Crying"
On this Song of the Week, we are playing a classic from 1964--actually, a 1977 re-release of a classic from 1964. This is "Don't Let the Sun Catch You Crying" by Gerry and the Pacemakers. Like Elvis? 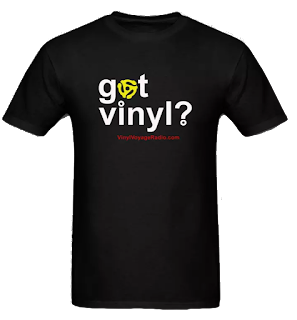 We sure do here at Vinyl Voyage Radio. We are excited to announce a new show: Blue Sued Connection, hosted by Dan Hawthorne and Patricia Garber. 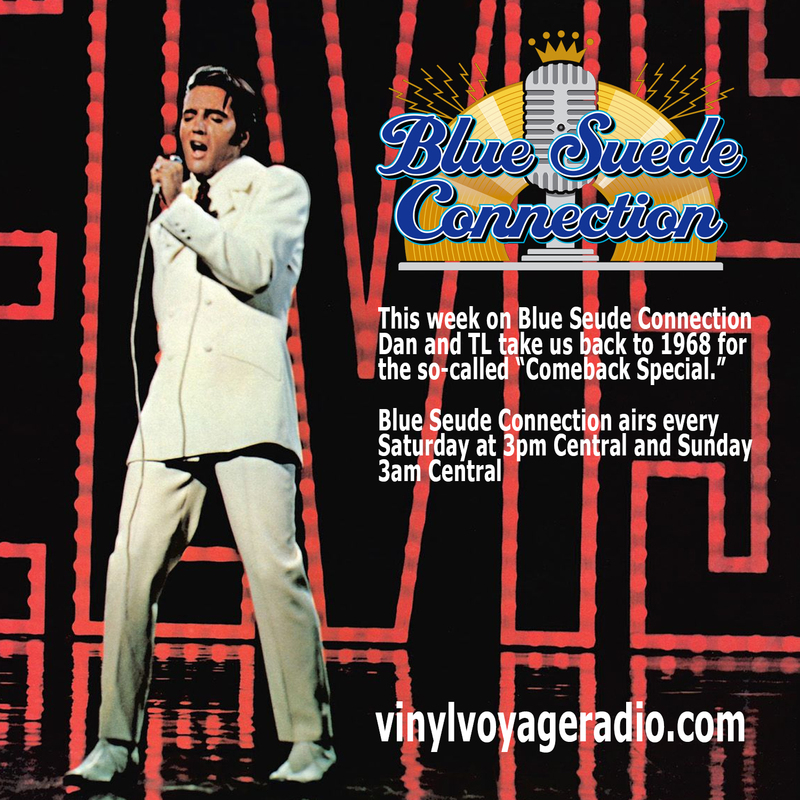 We will air episodes of this show every Saturday at 3 pm (central) and every Sunday morning at 3 am (central). 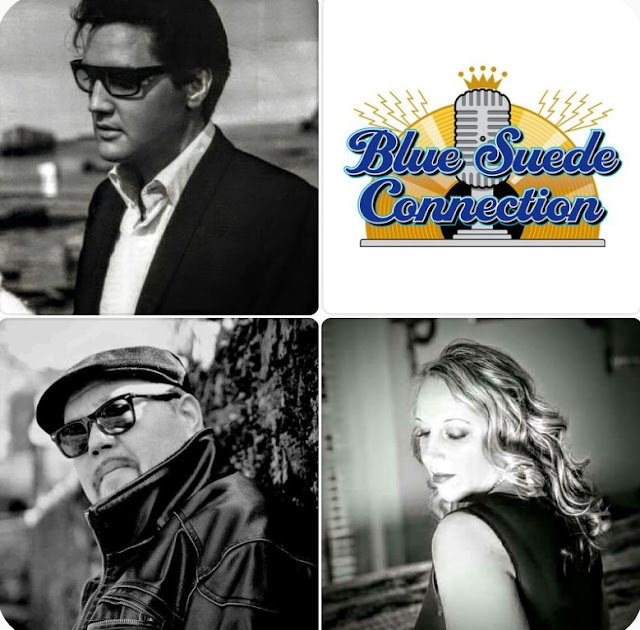 Information about Blue Suede Connection can be found on their website and Facebook page. Blue Suede Connection comes to us from WRGG, broadcasting from Greencastle, Pennsylvania. I love finding albums that were at one time owned by others who wrote their names on the cover or the label. 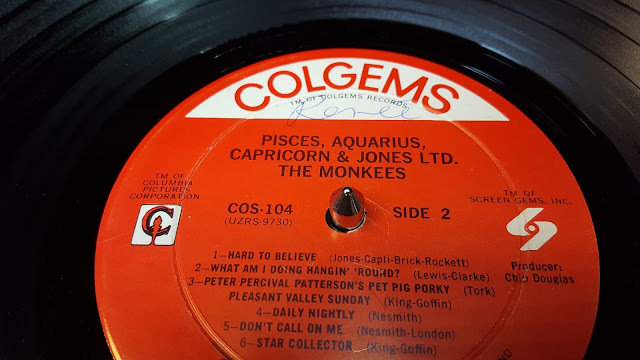 I recently purchased a K-Tel album and discovered that it was owned by Anthony Frizzell. 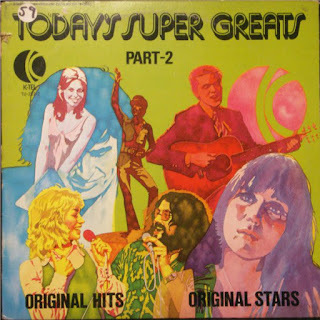 His neat signature appears across the label of side 2 of Today's Super Greats, Part-2. This is a great album, with 14 hit songs that span 1970-73. 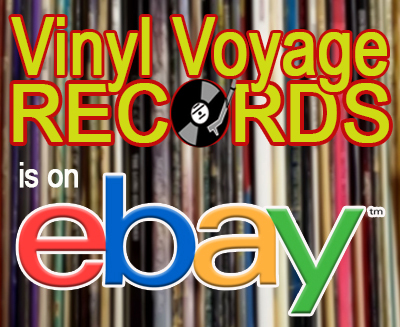 The artists include Rod Stewart, Dawn, Shocking Blue, Joe Simon, Chairmen of the Board and many more. 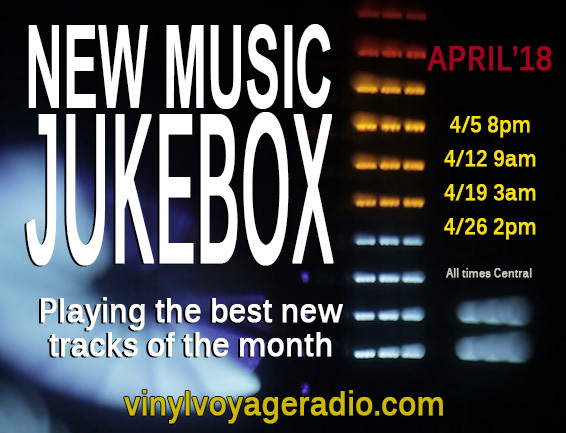 We are premiering a new show on Vinyl Voyage Radio: New Music Jukebox. 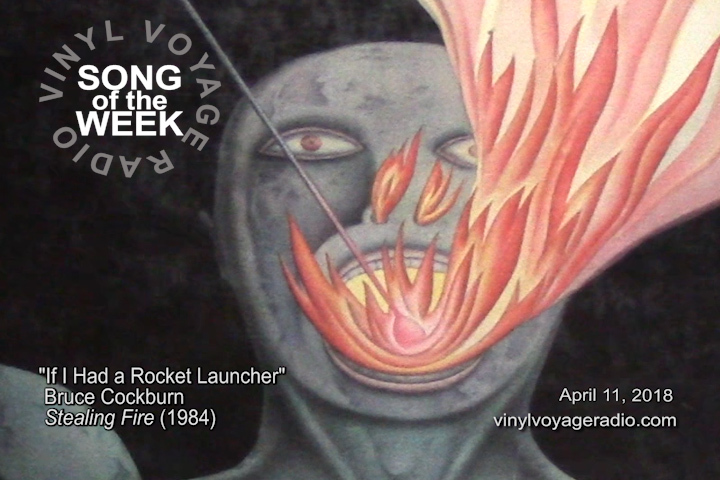 Each month, we will feature 10 tracks form the new music we are featuring that month. The premiere episode airs on April 5, 2018 at 8pm, central. Emanuel Casablanca, "I Got What You Want"
Forest Fire Gospel Choir, "Fancy You"
One Day Remains, "You Don't Worry Child"
Weary Space Wanderer, "Seasons to Change"
The Wet Secrets, "Give It To Me Straight"
Michael McDermott, "This World Will Break Your Heart"